We are a general building company based in Kent and were established in 1978. We specialise in property maintenance, disabled adaptions, bathrooms, kitchens and general building works. For the last 30 years we have worked with many local housing associations, borough councils, and private customers to provide all aspects of residential and commercial property needs. Our experienced workforce are specialists and dedicated to providing easy bathing and access for those with mobility issues. We also have an online shop to supply various disability aids, we can also offer to install any of these aids should you need assistance with this. We strive to transform properties to make life easier and more comfortable for those using them. Bathroom project went well. Staff were trustworthy, punctual, hard-working and approachable. Management always available and helpful. I have recommended the company already to a person looking to have work done. In order for me to remain living independently I needed my bath removed and a shower room with grab rails and fold-down seat. 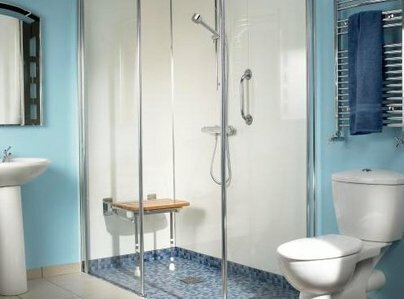 They have done an excellent job and the now shower room is easy and safe to use with minimum maintenance made all the difference to my home. MCL - Kent worked very hard on our disabled adaptations at our home over the past couple of weeks. We really couldn't have asked for a better team. They all did a fantastic job and we wouldn't hesitate to recommend them to anyone who may need their services. The work took 10 days to complete and we were so impressed with the workmanship carried out. We agreed from day 1 that he could start at 8am and we were happy to allow him in at that time. 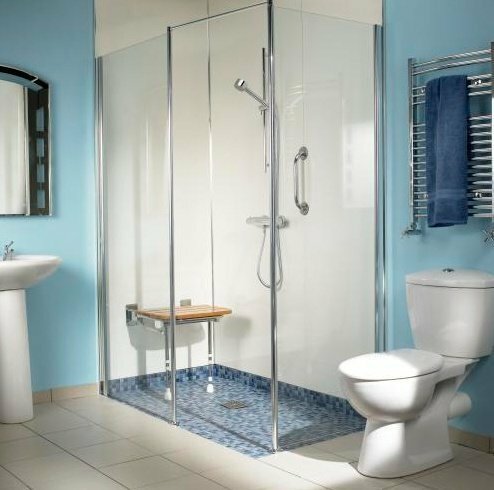 Our bathroom needed a complete renovation and this was carried out to our satisfaction. We can highly recommend this company. Absolutely satisfied with all work. Polite and on time workmen. Matt and Trevor were on time. Always polite and cleared away any mess. They were very helpful in making adjustments to suit my husband while building new access steps and hand rails for my disabled husband. If needed, I would have them to work for me again. Work carried out was most satisfactory, clean, tidy workman most polite. Re-work carried out. Very satisfied with all aspects of the installation. The operatives were prompt & supportive of the needs of this elderly resident. Best price - punctuality. High standards of work - neat and tidy. Very easy to talk to. Will definitely use MCL (Kent) again (in the near future). Very good relationship with all the workmen. Understood my requirement.